When it comes to phone-mounting solutions, more is not better. The beauty of the Steelie Car Mount Kit is in its simplicity. This two piece ball-and-socket mounting system uses a strong, removable 3M<sup></sup> adhesive to attach anywhere on your dashboard and mobile device (or case), then joins the two using a powerful phone-safe magnet for quick attachment and secure positioning. The Steelie Magnetic Phone Socket contains a silicon center, creating a smooth glide and firm grip that combined with the Steelie Ball Mount's round shape, allows for unlimited viewing angles of your phone. Because of this unique, fumble-free design, unlike other phone holders in the US, the Steelie Car Mount Kit is legal in all 50 States. Interlock Ball Mount, 5-1/4 Inch Drop For over 55 years REESE Towpower<sup></sup> continues to pioneer the development of the simple ball mount bar. The patented Interlock<sup></sup> One Wrench Tightening System allows for one handed tightening, a breakthrough when compared to the traditional dual wrench flat hitch ball design, which required two hands, two wrenches. Protected by Metalshield, a unique, two step OEM style black paint finish. 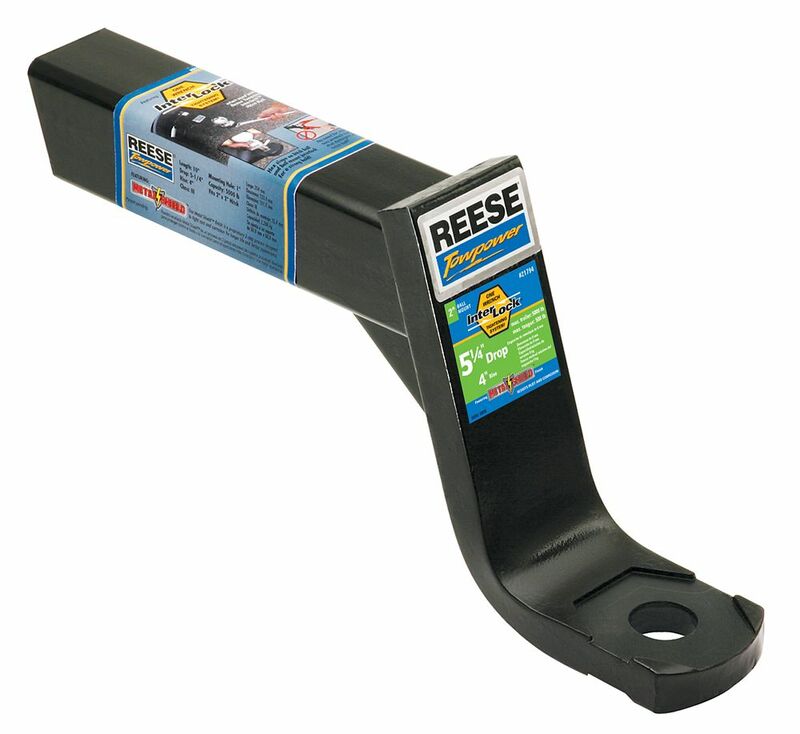 No other manufacturer offers the high level of testing that these bars are subject to. They are TESTED TOUGH! So when you're ready to tow, Road trip, let's go! REESE Towpower<sup></sup> Tested Tough!